Russia has been looking at the possibility of creating its own space station by 2024. The country’s space agency, Roscosmos, says it is committed to the International Space Station until then, but then will unlock the modules to create its own base. The proposed Russian space station would give the country’s space agency a platform to further its goals to explore the Moon, which is a priority for Roscosmos. The agency will look to study the Moon, using robotic equipment over the next decade with the goal of sending manned missions to the moon by 2030, Tass news agency reported the Science and Technology board for Roscosmos as stating. It will be partly built from segments from the old station, as well as adding new ones. Koptev added that the space agency will continue its research into the Moon and further space exploration in March, leading up to the board’s next meeting. “The configuration of a multi-purpose laboratory module, a [docking] node module and a scientific power module [would] create a promising Russian space station to meet the challenges of providing secure access to space,” a statement from the agency read, according to Tass. Roscosmos's Science and Technology board have been looking at the possibility of piloting astronauts till 2030. The possibility of creating a Russian stand-alone space station was first confirmed by Oleg Ostapenko, the head of Roscosmos, in December. “There is this option. We are making calculations at the moment,” Ostapenko said, when asked about the possible project. He added that a national space station would be “a step forward” for Russia and may serve “a number of different purposes,” for instance as a transfer point for the Russian lunar exploration program. Russia has had its own space station in the past. This was until 2001, when the Mir space station was deorbited, splashing down into the Pacific Ocean after spending more than 5,500 days in space. Russia cited the age of the station and the high operational costs as the reasons for the decision. Russia’s decision to continue its cooperation with the International Space Station will come as a relief to the other partners involved in the program. There had been uncertainty whether Russia would continue following western sanctions introduced against the country. Russia is currently the only nation capable of getting astronauts to and from the ISS, following the disbanding of NASA’s space shuttle program. 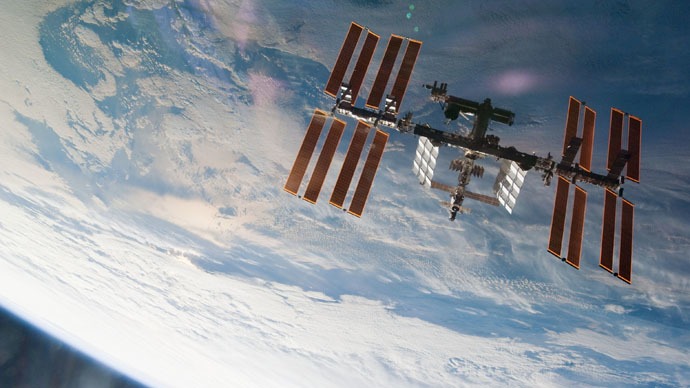 The US stated over a year ago that it will continue to back the ISS and keep it operational at least until 2024, with the possibility to extend its mission to 2028, the 30-year anniversary of the launch of the outpost’s first module.